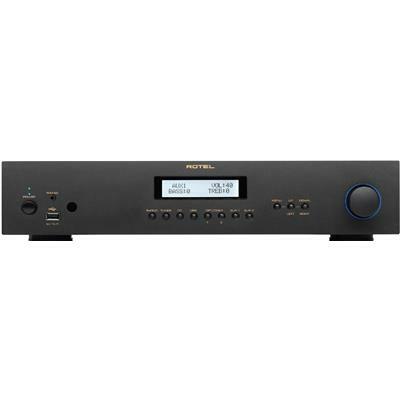 The Rotel RA-630 gives more power, and even more connectivity for digital users. If you are a high quality digital music lover, you can enjoy the supreme performance of the Wolfson WM8740 Digital to Analogue Converter (DAC). Digital enthusiasts using high quality audio files via Bluetooth or their iOS devices can enjoy the best quality sound, up to 24bit/192kHz is supported. A true work horse, the RA-630 still caters for traditional audio users with a high-performance phono input, multiple RCA inputs, and a headphone output.